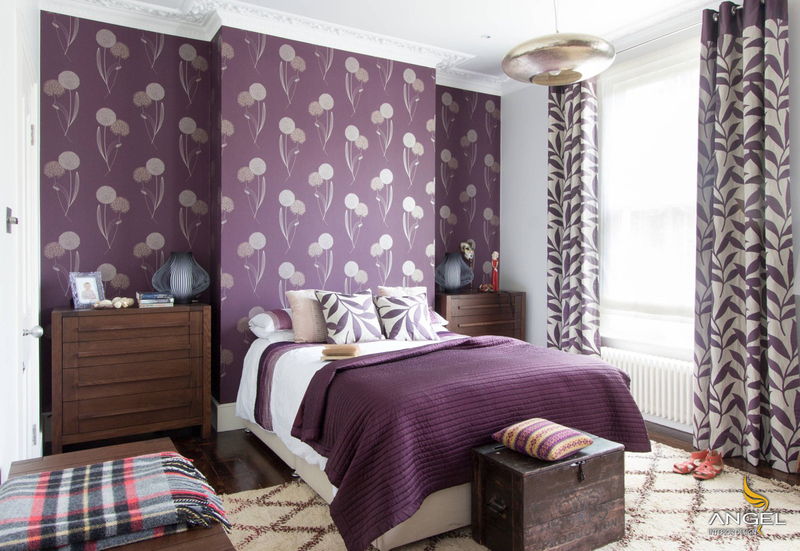 Purple will give you a rich decoration for the bedroom in your apartment. Purple interior design will bring a romantic beauty, eye-catching look, a magical inspiration when using purple. 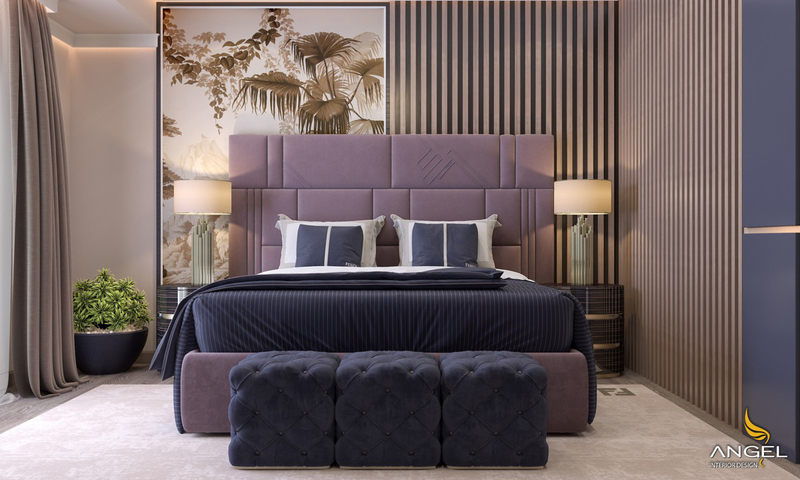 The purple bedroom has a violet bed and a unique blue flower-shaped cube that makes a distinct highlight. The antique wood furniture combined with the color of the look of the same pattern of wallpaper will never lose the personality of the owner. Purple color is added to the room is also great, but not the main color first. The lavender color and lilac color will create a peaceful and romantic getaway. 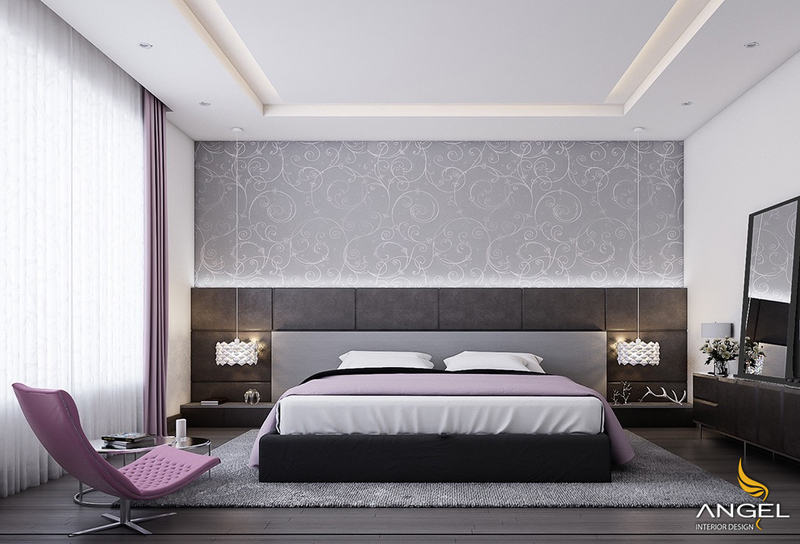 Minimalism is not necessarily just two simple colors, a bit of purple will also make the room more brilliant. 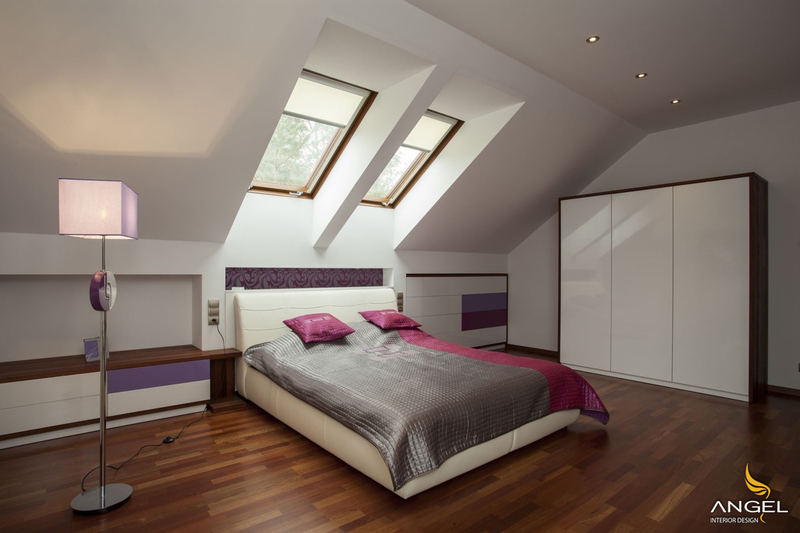 For homes with attic, the place is clean because the purple design is quite informative. If you cancel the violet of the ceiling, window blinds, blankets and rugs, you can see the room is a pale gray, white and original wood of the room very dull. 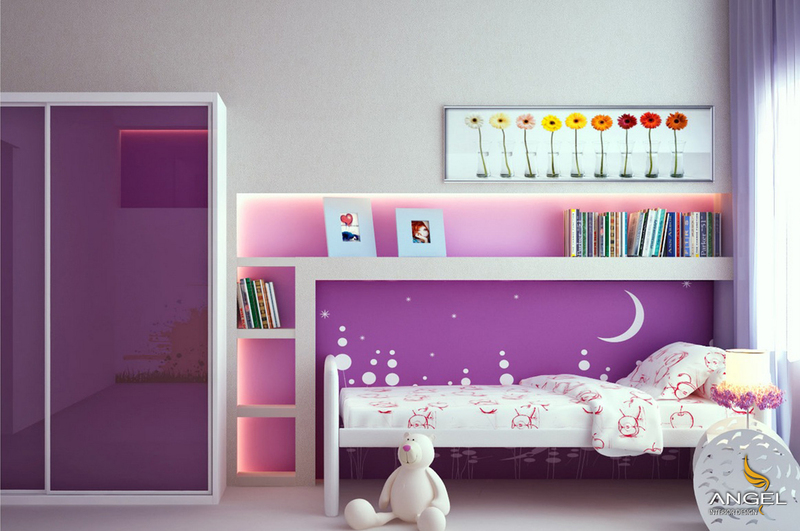 Purple furniture for kids will make them like this design because it contains vivid colors in a white background.